Here we'll show you how to setup the FishIDE application, if you want to test it. 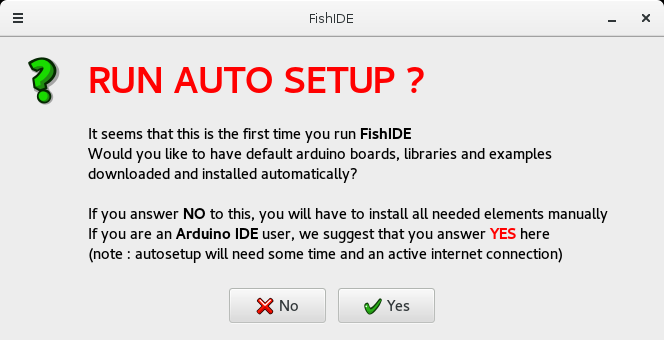 As explained in download section, FishIDE is NOT needed to use Fishino boards; it's just a nice alternative to Arduino IDE. We suggest you to test it, as it has some nice enhancements that makes development quite more comfortable. The first step is to download the package for your OS in download section; it's a ZIP file that must be unpacked in some location. There's nothing to install, just unpack the ZIP and put the executable file somewhere in your hard disk. You shall answer Yes here. If you answer No, you'll have to do all the work manually! Once Yes is pressed, the autosetup process will start, installing the base packages, which are the ones included in Arduino IDE by default, needed to use, for example, Arduino UNO boards. AutoSetup will NOT install Fishino packages by default, as FishIDE can be used by non-fishino owners too! If you don't need additional boards, you're done, and you can start using FishIDE! To install Fishino Boards into FishIDE, read next paragraph. 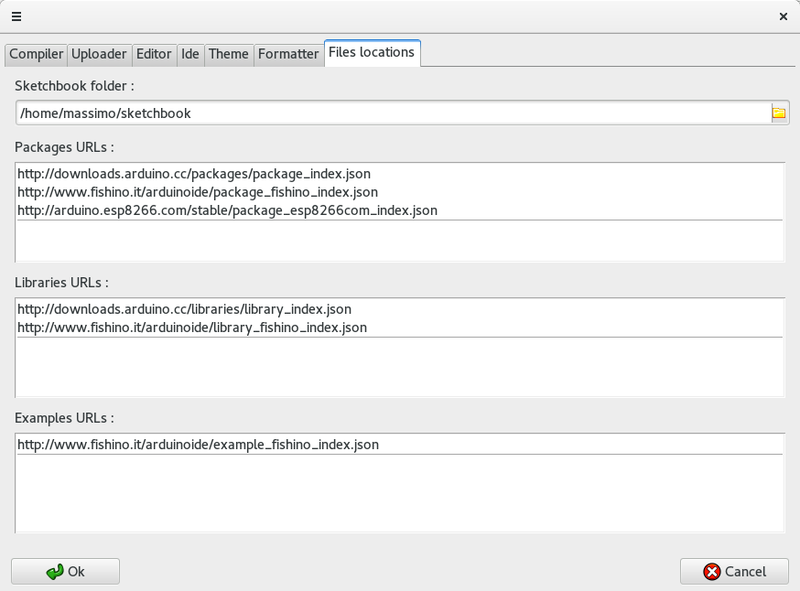 You can notice various points here; the autosetup should have pre-filled them with Fishino paths, even if it has not installed the packages; just check that Fishino's paths are correctly set inside 'Packages URLs', 'Libraries URLs' and Examples URLs' fields; if they'r not there, just add them as shown in the picture above. Once done, press OK button. 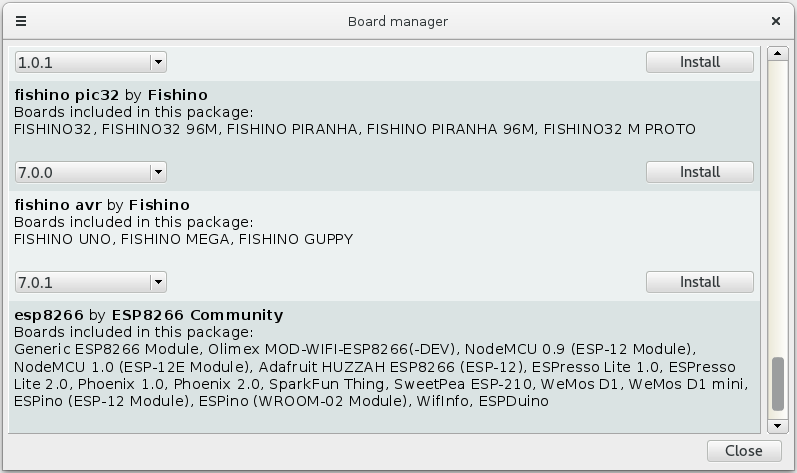 Just scroll near end to find the 2 Fishino Packages and install the one you need, or both if you have both Fishino and Fishino32 boards. That's all! From now you can use all FishIDE features!